Sculpted for speed, these turf soccer shoes are stripped down to the essentials. A low-cut collar and skin-tight fit lock your foot in, eliminating the need for laces. 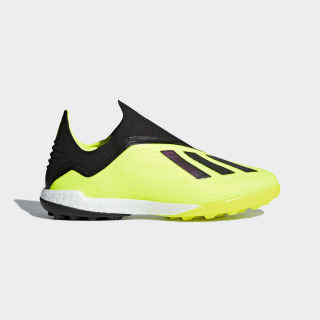 Made of thin mesh for a minimal feel, the upper sits on responsive Boost cushioning. The outsole is perforated to cut weight, leaving you free to fly.